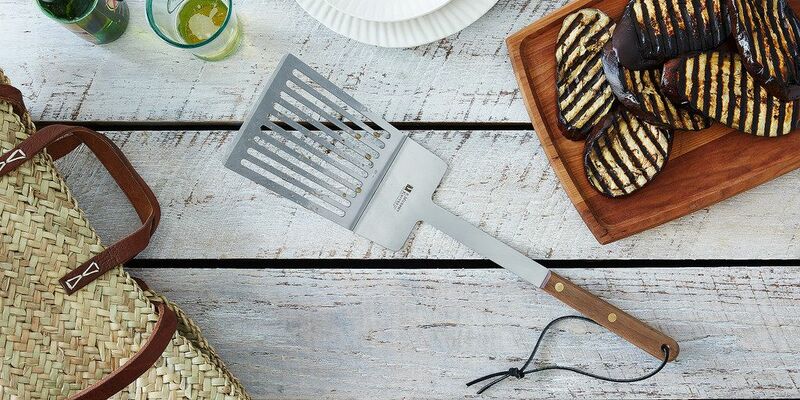 Today: Decades of grilled pizza, a seventh grade shop class, and a fortunate partnership went into creating the Food52 exclusive R. Murphy Oversized Grill Spatula that launches today. If Christina DiLaura, our VP of E-Commerce Operations, was nervous to be the only girl entering her metalworking class on the first day after Winter Break in seventh grade, she didn't show it. She had taken woodworking the semester before and felt confident that the skills she'd used to design her paisley-carved pen stand would carry through to a metal medium. She watched as the teacher stood at the front of the classroom at Parcells Middle School in Michigan, demonstrating the protective blacksmith aprons and goggles before giving the class their first assignment: a spatula. 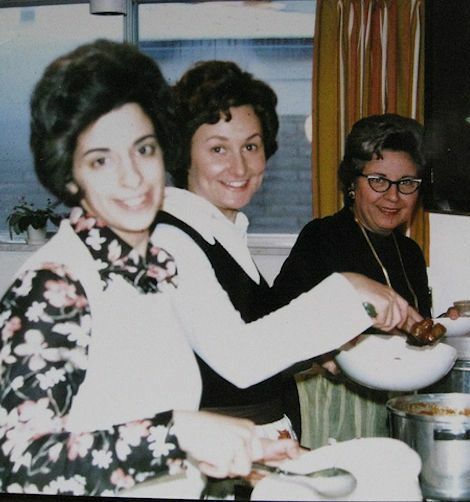 Left: Christina's mother stands in front of her aunt, Marilyn, and Christina's grandmother, "Grandma DiLaura;" right: Christina as a young DiLaura. Growing up in a Lebanese-American home with a mother who was an excellent cook, Christina was no stranger to cooking tools. As the story goes, her mother, Veronica, was among the first to adopt the Microplane as a zesting tool when they were still sold at select hardware stores as wood rasps. Unable to find one herself, Veronica emailed Lorraine Lee, the woman credited with discovering the duality of the tool, directly—Lorraine promptly sent her one in the mail. Veronica's creativity and aptitude in the kitchen expanded to the food she placed on the table every night: roast chicken, pork chops, meatloaf, grilled fish. And if it was a special occasion, Lebanese food like tabbouleh, grape leaves, and kibbeh made an appearance. Christina was notorious for hanging around the kitchen to get a lick off of the spatula, and by the middle of the semester, she had almost finished designing her own. Goggles in place, she carefully bent and soldered a large stainless steel base to a wraught iron handle. 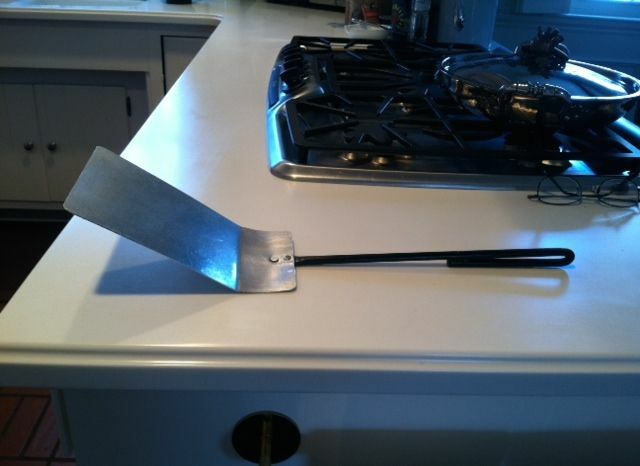 When she gifted it to her mother for Mother's Day that May, her mother declared that it was the best spatula she had ever owned. And even though Christina temporarily regretted the gift (her mother remembers, "When she brought it home she wanted to get rid of it because she thought it was ugly! 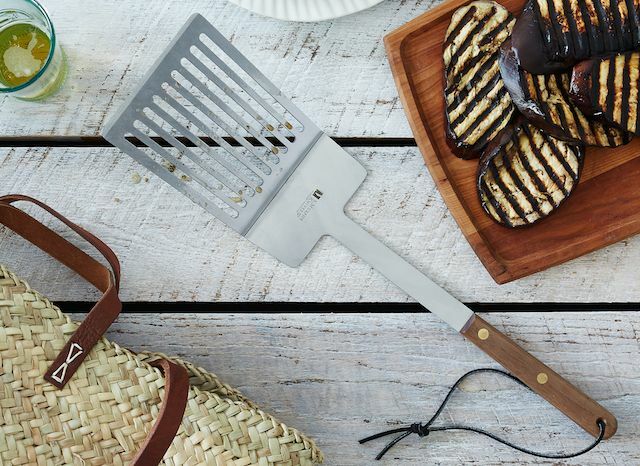 "), the spatula immediately became Veronica's go-to cooking companion—she used it to flip entire fish, pancakes, and burgers all supported by the spatula's girth. 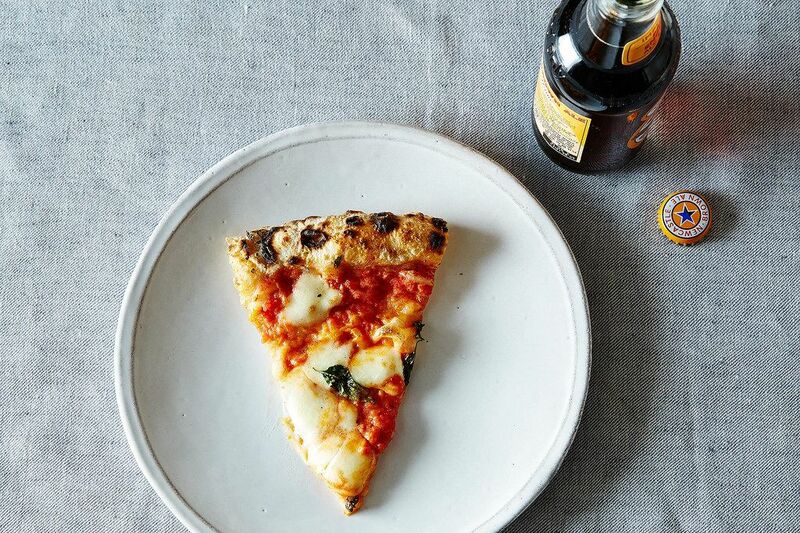 After roughly 10 years of using the spatula, she found yet another perfect use for it: grilled pizza, inspired by a Cook's Illustrated article she'd just read. That summer, Veronica bought an armful of pizza dough from her local parlor, and set out an assortment of toppings for a grill-your-own pizza party for family and friends—with the spatula doing the heavy lifting. Flash forward ten summers later, when R. Murphy Knives, a family-run company founded in Massachusetts in the 1850s that specializes in carbon steel knives and kitchen tools, approached Food52 about creating an exclusive item. Christina immediately had her mother send along the dimensions of the spatula. The folks at R. Murphy Knives agreed: They wrote back with, "You've got some talent there," and a (half-joking) job offer, then set to work updating the classic. Left: Christina's original spatula; right: The upgraded version by R. Murphy. 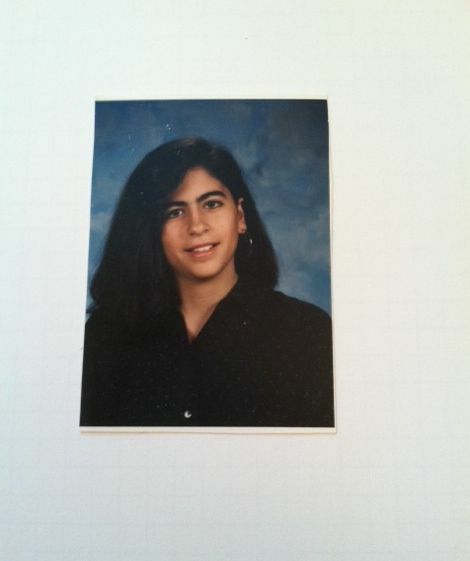 Christina as a young DiLaura! Delightful. The good ole days of hoop earrings and So. Much. Hair. a low-melting alloy, especially one based on lead and tin or (for higher temperatures) on brass or silver, used for joining less fusible metals.